The other day, on my way back from work, I spotted some beautiful strawberries at our local grocer and couldn't resist buying them. I might have gotten a bit carried away and bought a lot more than I should have. So, for the last two days, strawberries have taken over. Today at work, I am snacking on strawberries with almond butter (which tastes amazing by the way, if you haven't tried it before) and we also made strawberry smoothie for breakfast with almond milk and a frozen banana. 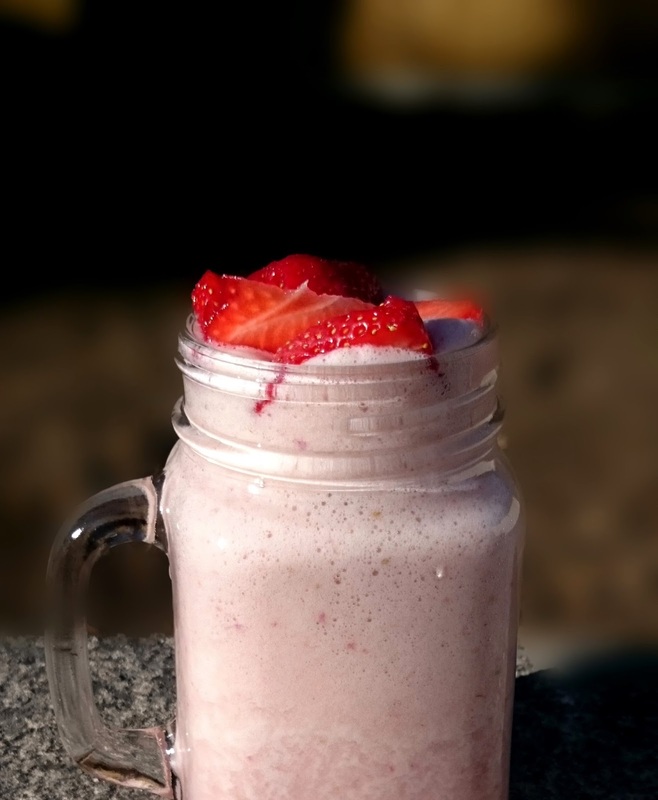 The strawberries were quite sweet and so didn't really need to add any sweetener to the smoothie but I've added just a little bit of maple syrup for taste.